Change and disruption is happening across Europe and North America. More and more citizens are rejecting a status quo that doesn’t work for them – and the elites who told them that it would. The breaking down of neoliberal hegemony creates almost unthinkable opportunities, such as Jeremy Corbyn’s leadership in the UK or Syriza coming to power in Greece. But these opportunities face intense efforts to suppress them, as politics once more becomes a contest between the powerful and the rest of us. We saw how the Troika treated Greece and we’ve seen how media attacks and the failed Labour coup have tried to dislodge Corbyn – and most importantly, our ideas. 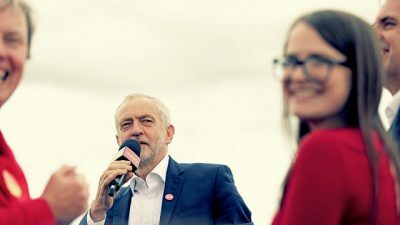 Yet over the last year, political participation in the UK has soared – Labour is now the largest political party in Europe, with over half a million members – and hope has gathered. Labour, as a mass party, is a vehicle for progressive change, combining a platform to rebuild and transform Britain through public investment in jobs, homes, education, transport and communities with moves to shift ownership and power from the 1%. But every vehicle needs an engine, to provide energy and strength. Momentum, a grassroots organisation developed out of the Jeremy Corbyn for Labour Leader campaign, exists for this dual purpose: to strengthen and democratise the Labour Party and to expand popular power. Some suggest the two objectives are mutually incompatible; that you can either build a party, or build a movement. To Momentum, that is a false opposition: we do both. In the spirit of the best Labour traditions and guided by new ways of organising, ours is a diverse, dynamic and creative movement, dedicated to empowering local communities and re-energising politics from the bottom up. Composed of over 150 groups and 17,000 members, Momentum refuses traditional dichotomies – local and national, immediate and long-term – and articulates a new vision of politics and society. Through popular education, support for grassroots activism and a participatory, democratic and inclusive political culture, Momentum aims to engage and empower everyone in society, allowing voices, so far unheard, to break through, and debate, so far suppressed, to emerge. That’s what we’re doing with The World Transformed: helping people to be heard so they can change the world. Momentum is providing this space for discussion, education and sharing because knowledge is power. Popular education has been a central focus for Momentum but not one driven by the centre. 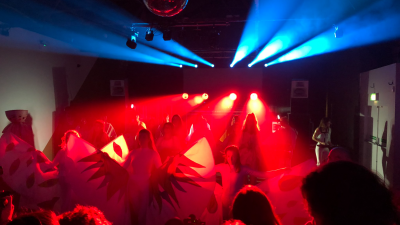 Momentum groups around the country have organised free educational events, designed to elucidate the contemporary moment and empower those looking to change it. Since forming, Momentum has run several national campaigns. Some, such as the work put into local elections, have helped Labour secure electoral support – with substantial success, as with the Oldham West and Royton by-election in October 2015, where Momentum’s assistance was specifically singled out by winning MP Jim McMahon. Others, such as the ‘Democracy SOS’ voter registration drive, which saw Momentum members all over the country combine to ensure people weren’t lost from the electoral register, or the developing campaign to safeguard the NHS from privatisation, have sought to extend popular power. In the same spirit, Momentum supports workers engaged in ongoing struggles, as with the junior doctors’ strikes. It has also directly intervened in the direction of government, taking part in the movement against George Osborne’s tax credit cuts that forced a reversal in policy, and providing the means for supporters, anxious about the prospect of further British military action overseas, to lobby their MPs ahead of the vote on military action in Syria. Each and every campaign has worked locally to achieve national effects, while the energy released in such national campaigns – no more in evidence than in the campaigns for Jeremy Corbyn to be party leader – brings new vigour, new ideas and new activists to local campaigns. And what new energy the failed coup against Corbyn’s leadership has brought us. Thousands of activists across the country sprang into action to defend the vision of a better society and, more importantly, build the movement for it. In 24 hours, we organised a 10,000-strong rally in Parliament Square on 27 June. This started a series of actions in 35 towns and cities across the country that week. Almost 30,000 people came together, not to hear from big name speakers, but to organise and advance their cause. We saw huge turnouts where one might expect them – London, Liverpool, Manchester – but also remarkable support in places you perhaps wouldn’t, such as Penzance, Lincoln and Ipswich. Events and campaigns are two very visible aspects of what Momentum does, but they wouldn’t be possible without the constellation of groups across the country and the members and supporters who have built them. It is in these groups, operating on a model of participatory democracy, where discussion, debate and action take place. Local groups decide which national priorities to emphasise, how to apply them and what local campaigns to undertake. Both directly and through regional networks, groups submit proposals and papers to the national committee, providing the direction of the overall organisation. In these spaces, communities can found their own politics, and find their own voice. The national committee, where key strategic decisions are taken at a national level, works in alliance with local groups and members. 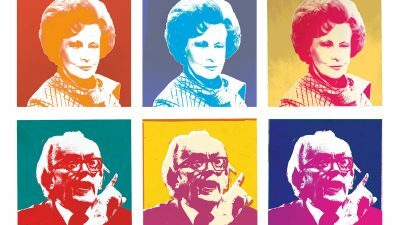 Local groups were established long before the committee: evidence of Momentum’s decentralised, democratic nature – the real power must lie at grassroots level. 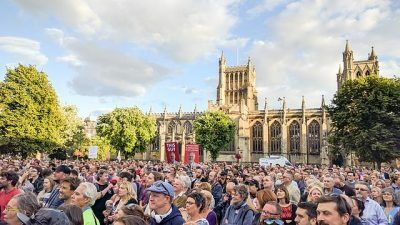 Organising, campaigning, discussing, Momentum’s members and supporters both set the agenda – the current national campaign, for example, was decided by a poll of our supporters about their priorities – and carry out the action. They are Momentum: from all over the country and from a diversity of backgrounds, they unite in a collective desire for a better society. We are living in a time of great uncertainty and our political, economic and social system is under severe strain. This opening brings unanticipated and dramatic change, as shown in the past two years: a nearly-independent Scotland, the decline of the two-party system, the election of Jeremy Corbyn and the Brexit vote – all barely thinkable a few years ago. New rules are to be written, new maps drawn. The architects of that change can come from above, with the resulting reorganisation made to suit elite interests, or from below, with society transformed in favour of the majority. Momentum is part of a process of popular political mobilisation that, alongside the wide variety of organisations that comprise the Labour movement and beyond, will work to direct this moment to progressive ends. This won’t be easy. 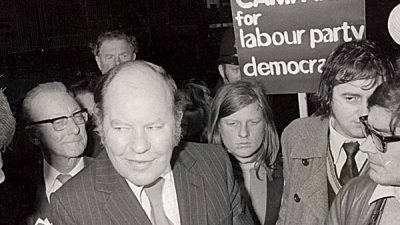 It will require electoral victories for Labour and longer-term building of popular power, in a decentralised culture at once participatory and inclusive. It will require energetic and collaborative pursuit of political goals, both immediate and in the future, that strengthen the Labour Party, help it win elections, and strengthen the labour movement. These are challenges; but they are also opportunities, as the emergence of Momentum demonstrates. Momentum represents a politics fit for the 21st century, a member-led democratic social movement, embedded in the Labour Party and the labour movement, that simultaneously builds popular power and electoral prospects. It has a politics and a purpose: to transform society so that wealth and power lodges in the many, not the few. We are at a point where politics and society shifts. The moment is open. Let’s take it. Momentum Football launched on 11 June with a special event organised around England’s first game of Euro 2016, against Russia. A Philosophy Football panel on football and nationalism was accompanied by a special appearance by the shadow chancellor, John McDonnell, as the evening’s ‘alternative pundit’. The event illustrates how Momentum is aiming at a ‘new kind of politics’ that is not simply about meetings, motions and Westminster, but broadens out into people’s lived experience. For many of us, football (whether playing or supporting) is one of the most important aspects of our lives, and yet, as in society more generally, profit is put before people and deeply entrenched relations of power are perpetuated. As Momentum Football activist Colin Hendrie explains: ‘There is more to football than the glitz of the Premier League. There are thousands of local clubs across the country where local communities come together to make the grassroots game possible. Momentum Football seeks to establish a broad alliance of football fans, players, teams and organisations that not only want to make football more inclusive, democratic and fair but also seek to use it as a force for social, political and economic change. A people‑led manifesto of football will be launched at The World Transformed as part of our panel on ‘Football as a force for social change’ – a project that, as McDonnell suggested at our initial event, could be used ‘to garner Labour support right across the country’.